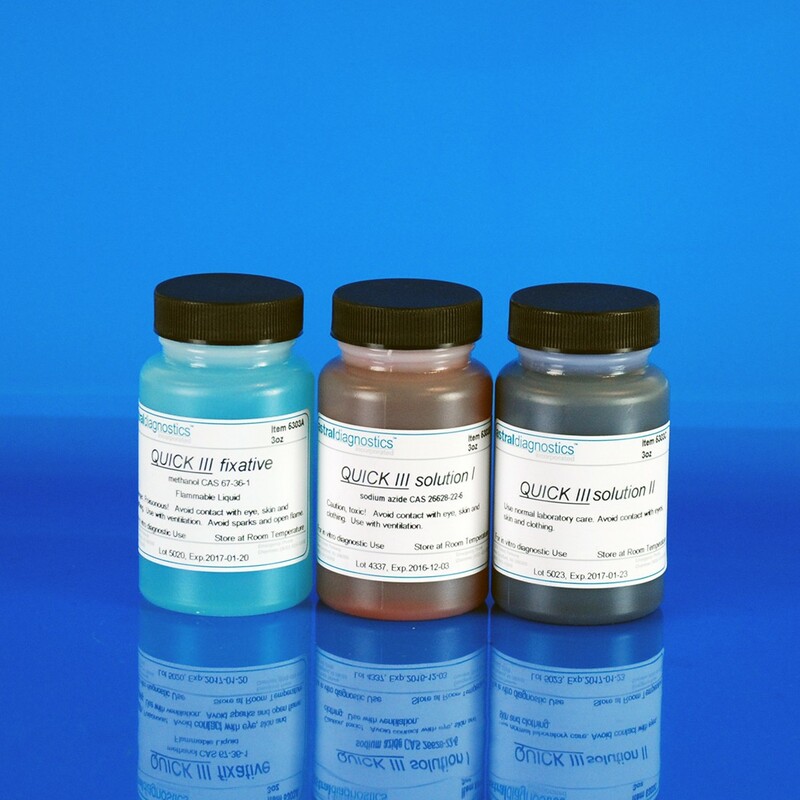 Quick III Stat-Pak | Polysciences, Inc. Wide mouth jars provide convenience for dipping blood smears into the reagents. Used for differential assessment of blood smears, detecting H. pylori microorganisms, sperm analysis, and interpretation of FNA biopsies. FDA approved for in vitro diagnostic use. Set contains one 90 ml jar of each: Fixative, Solution I (Eosin) and Solution II (Methylene blue, Azures).